As you might have noticed, this is my 5th post this week! I’ve been trying to figure out how to get back to writing more regularly and sharing more of the ‘stuff’ I’ve been consuming in my spare time. The general idea is to do at least one quick and easy post per day about something I’m interested in. So far it’s motivating me to write more, but I’d love to hear what people are most interested in hearing about! In light of that, I’m reviving another ‘old’ post series of mine ‘Listening To‘: I started it with the intention to share what music I’m enjoying, but am expanding that to include podcasts, audio books and concerts! It’s my new favourite podcast and in the past 2 weeks I’ve listened to the majority of their archive (it goes back about 2 years)! 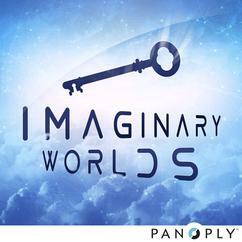 Imaginary Worlds gives us a glimpse behind the curtain of some of my favourite geeky books and shows: Star Wars, Harry Potter, Game of Thrones, there are a ton of different geeky topics that get covered, often with perspectives that I hadn’t considered before. Pretty much anyone that enjoys geeky stories should try out this podcast! Current favourites episodes: Fantasy Maps about the work and detail that goes into creating them, 1977, a look into the state of the world and pop culture when Star Wars came out, and Beware of Cyber City about a three-dimensional model of a town that the military uses for cyber war games. You all know how much I love Hugh Jackman singing, and somehow I stumbled on these videos! They’re from a Disney channel Christmas concert where Hugh presented and sang. I’m not exactly clued in on what people are listening to nowadays (as I’ve said before, I think like 80% of the music I listen to comes from movie or TV show soundtracks). So when the whole Kanye West debacle happened a couple of weeks ago, I’ve got to admit I hadn’t seen either of the two videos. Yeah, I know this might be one of the more geekier choices for my ‘Listening To’ series. I fell in love with this song though the first time I heard the opening credits from Civilization IV, and it never feels to somehow cheer me up whenever I’m in a bad mood. Btw, does anybody have any tips what the best website is to find these type of embeds? YouTube doesn’t really feel right, seeing as it’s only audio.